Amy Barone’s new poetry collection, We Became Summer, from New York Quarterly Books, was released in early 2018. She wrote chapbooksKamikaze Dance (Finishing Line Press) and Views from the Driveway (Foothills Publishing.) Barone’s poetry appears in Café Review, Paterson Literary Review, Sensitive Skin, and Standpoint (UK.) She lives in NYC. Author of eight books of poetry and numerous chapbooks, Anselm Berrigan earned a BA from SUNY Buffalo and an MFA from Brooklyn College. His collections of poetry include among others Zero Star Hotel (2002), Some Notes on My Programming(2006), Free Cell (2009), Something for Everybody(forthcoming, fall 2018). 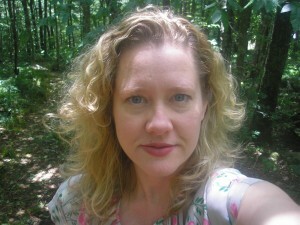 Lee Ann Brown is the author of In the Laurels, Caught(Fence Books, 2013), Crowns of Charlotte (Carolina Wren Press, 2013), The Sleep That Changed Everything (Wesleyan University Press, 2003), and Polyverse (Sun & Moon Press, 1999). In 1989, Brown founded Tender Buttons Press, which is dedicated to publishing experimental women’s poetry. She has taught at Brown University, Naropa University, Bard College, and The New School, among others. David Mills is the author of two books of poetry—The Dream Detective and The Sudden Country, a book-prize finalist. His poems have appeared in Ploughshares, Crab Orchard Review, Jubilat, Vermont Literary Review, Live Mag!, The Literary Review, Callaloo and Brooklyn Rail. He has had poems displayed at the Venice Biennale. Sergio Satélite hails from the Dominican Republic. He is a champion spoken word slammer and has performed at the Bowery Poetry Club, the great weather for media series at Parkside Lounge, and in the Local Knowledge Magazine series.